Our adventure to Morocco began with a deep desire to take action, and be the change. The energetic trail led us here, and now the winds of change have blown in again, pulling us in a new direction. The Moroccan chapter is coming to a close, and a new chapter begins, a deeper and more influential expression we hope. 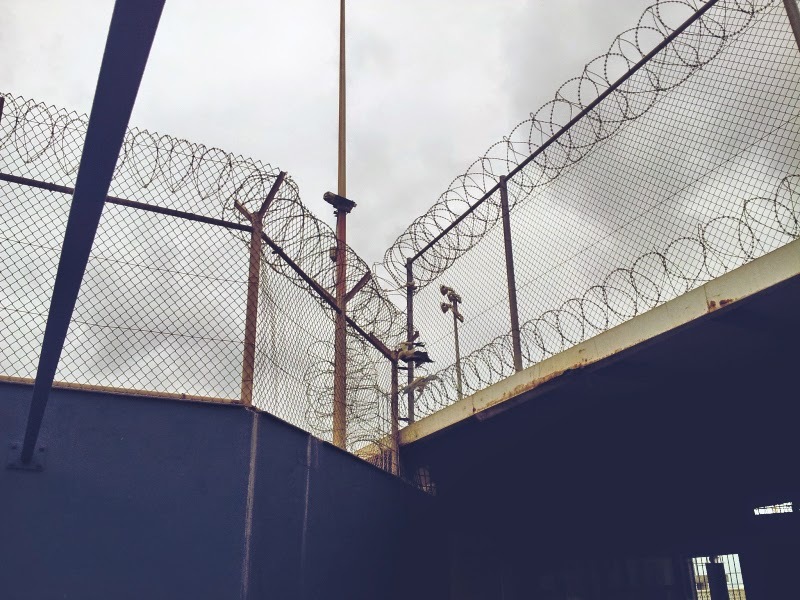 We are planning to head back to the U.S. within the next two months, right at a time when a massive outpouring of awakening is emerging there, in the midst more draconian developments. Where we can play our part in exposing corruption, sharing deep truths, and working to develop lasting solutions with those who are willing. The U.S. has been moving into a dark phase of Nazi like police state control, as the de facto mafia run government encroaches on some of our most fundamental freedoms. We are hearing from some of our friends and associates, that many people are beginning to see just how corrupt our world has become, and the United States seems to be an epicenter of activity in this respect; the night is darkest before the dawn. Julian and I were raised in the U.S. having our roots there. The season of return is upon us, all things move back from whence they came, only to go forth anew. With this in mind, we are currently raising funds to make our journey back, to continue the great work. But of course it is not the end, it is just one step on the path. How this unfolds is unclear. We would like to make a tour of our journey back, visiting others along the way, sharing our experiences and gaining the wisdom that comes from connecting with our fellows. Each person has a unique perspective on life, and is playing their part for the global shift. The shift we're presently experiencing can be enhanced and activated by connecting all those who seek to be the change. Instead of being islands of awakened consciousness, we can join in fellowship, and work as a unified group. In our observation, the sense of loneliness felt by awakening to what is happening on earth can be profound. Meeting others walking on the path helps dispel this experience of isolation, so it can be replaced with the recognition of interconnectedness and a renewed passion for collective action. Since the beginning of our awakening, we always knew that sharing experiences and knowledge was a crucial aspect of the paradigm shift. Instead of presenting data as a 'flag of truth,' we simply wanted to offer it as something to consider, hoping to begin a group discussion to distill it for greater understanding. We took our personal awakening process and made it 'sharable,' as Dan Winter often says. Our progress in discovery has been enhanced greatly by working with everyone we have met along the way. If you are reading these words, you are one of those people. 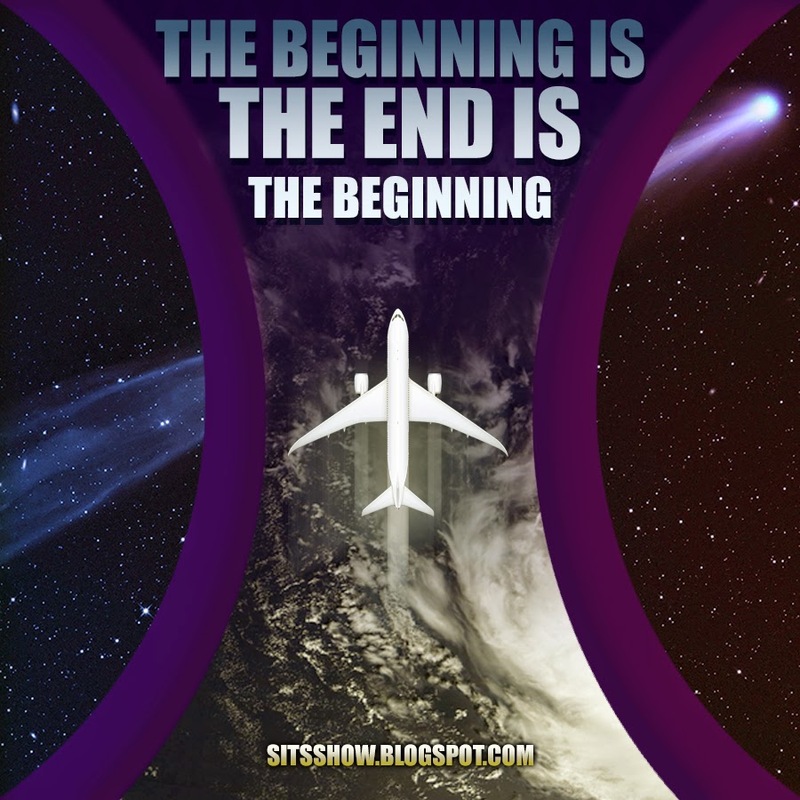 It began in March 2013, with our blogtalk radio show, Stillness in the Storm on SoulTalk Radio network. A few months later we decided to create a blog for sharing the information we were discussing on our shows. Within a few short weeks, we were shocked by the number of people taking interest in what we were sharing. From the corrupt government, NWO Agenda, Law, Hidden Science, Spirituality and Personal Experience, all the knowledge we had been slowly distilling over the years was being shared. Through this process, others came to offer their perspective, expanding our own. We recognized that the search for truth is best done with many points of view, all working together to expand our personal knowledge. Literally each person is invaluable to everyone else in this sense. For us this was a deeply emotional and hopeful realization, a recognition of how connected we are all to each other; one grand human family. In late 2013 the 5d Media Crew announced the OPAL tour, a gathering of awakening individuals attempting to live the ideals of personal sovereignty, transparency, and honor. This was greatly inspiring for us, as we felt a growing desire to begin a proactive approach to changing the paradigm of slavery on earth. The end of that tour saw the rise of a new project, to come to Morocco with a group of willing individuals, ready to take a big risk and try to create a new paradigm community. One ideally based on sustainability, honesty and integrity. For Julian and I, it seemed like a great idea, but we had no concept of how we could participate. We are not rich, we both were working modest jobs at call centers, and like many people, had just enough to survive. A choice presented itself for us: We can either stay in the US and continue surviving, while doing our best to share information, or we can take a big risk and make the move. We decided to make a leap of faith, and hope that some how we would find a way. It meant liquidating a lifetimes worth of 'stuff' to raise funds for the trip. And we did just that. Over the course of December 2013 and January 2014, we sold everything, found homes for our 4 cats, and stored the few remaining items with friends and family. In conjunction with that, we fund raised by announcing our intention to go to Morocco on this blog. Within a few short weeks we were able to raise enough funds to purchase our flights and make the trip; thanks to an outpouring of support. This in and of itself was a moment of major transformation for us. It is not easy sharing your deepest desires with others, especially when asking for their help. We are conditioned from birth to think life is a fight for survival and everyone is against us, but seeing the support from others was a huge confirmation of the greater reality of oneness. Knowing that our work had touched the lives of our fellows enough so that they wanted to give back was a wonderful moment of inspiration. Further drawing our awareness to the reality of interconnectedness and oneness, that the shift includes everyone at all levels playing their part. We arrived in Morocco on February 13th 2014, and met the growing population here. For those who have been following the story of Morocco, its clear that things did not go as planned, but that doesn't mean wisdom wasn't gained. For Julian and I, our primary motivation was to make an effort and in doing so gain experience and knowledge. Yes the odds were against us, and the challenges we were to meet gave us many moments of pause, but at every stage we always had an experience which allowed us to grow. We also wanted to share the attempt with the world, so all would have the chance to gain insights into what worked and what didn't. That way no one need reinvent the wheel and we can hopefully progress together as one people towards change. The goals for the community here were grand, nothing short of energy independence, collective harmony and practical sustainability. At every stage there were challenges to overcome. In the end, our goals were not accomplished and nearly everyone who came here disbursed at the end of fall 2014. But I think I can safely say it was a rewarding experience for all involved. Brian Kelly traveled to Bali and is working to empower local cottage industry production there. Lisa Harrison continues to bring mind expanding information to the masses with her interviews. Dani has been doing her work of revealing the fraud of the system on Removing the Shackles, empowering others with knowledge to take action. 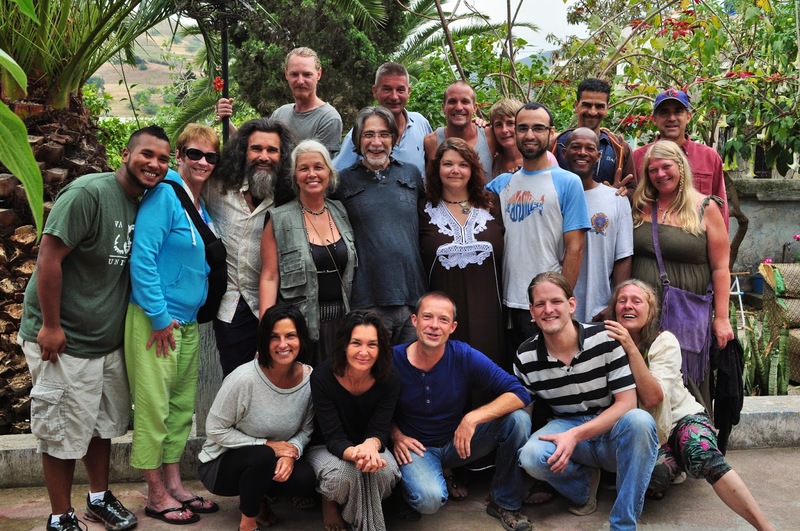 Mel Ve, who was not here in Morocco but is part of the global effort for change, created Consciousness Consumer Network (CCN), and began unifying independent media outlets all over the world. Jorge is continuing to create artwork to capture the essence of the emerging paradigm of empowerment. Diatu is doing amazing work with the Bolo Community in Senegal. Allegedly Dave is bringing health and self healing information to the masses. Shama Deerwoman does her shamanic work in many venues and shares liberating information. Bill also known as American Kabuki shares his insightful data on his blog. Alia and Tomas are grounding the heart space frequencies of quantum thinking. Darius Wright brings his knowledge of kinesthetics teaching yoga. Jamie, Val, and Hope continue their work of bringing new technologies to humanity through the Fix the World Organization. And so many others who we did not mention. The end result of our Moroccan Mission was not a fruitless effort, nearly everyone who came had a deeply enriching experience. Nothing prepares us for life other than actually trying to live it. The challenges we encountered opened our minds to things within us we were not aware of, and gave us a 'boots on the ground' education. See more photos Julian captured of everyone here. I want to share some of the insights we had as a result of our experience here, hopefully to show others that unity on the big core issues is essential to effect real change. The task of creating a nexus point for expanded consciousness, a community of awakened people testing some of the 'New Paradigm' ideas we've come to know seemed insurmountable at times, but one theme was constantly presenting itself; lack of unity. Almost everyone agreed that things needed to change, and that we had the potential to do it, but how were we going to come together and realize these ideals? Some were just simply unwilling to question long held beliefs or even discuss them so others could see the wisdom therein. These small points of disagreement blossomed into total stagnation. And I hope others who read this story see that waiting for the perfect situation (where we agree on everything) is a huge limitation to collective workings. In my view, we all have the same basic needs and are all oppressed by the same group of tyrants, we can at least unify on that score, if nothing else. This was a microcosm of the macrocosm. Within the awakening population there are many rifts and divides. Some of the core issues are nearly completely acknowledged, yet there is no unity of action. Why is this? Being deeply fascinated by psychology, and the causes of things, I am constantly asking myself why people do what they do; why things happen the way they do. How is it that those of us who are awakening to the reality of slavery on earth can be so divided? The primary cause for discord seems to be deep level of trauma experienced by nearly everyone on Earth, which pushes us into emotional reactiveness vs critical thinking and rational thought. It seems to be a natural reaction to realizing our knowledge is not as complete as we once thought. 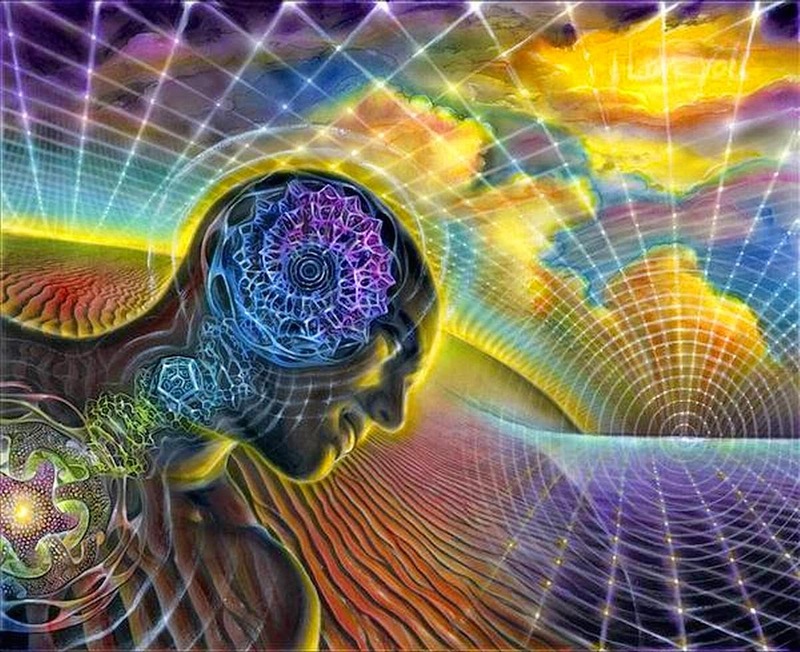 The awakening experience is more of a process then a black and white switch. We tend to call ourselves 'awake', but in observing the process over the years, it has several phases. Our old beliefs about the world are challenged and eventually a red pill realization pushes us to question things we once accepted blindly; dogma. This is an emotionally traumatic experience for most people as they realize their government and even the food they eat is designed to maintain their dependence on the slavery system; and of course it goes much deeper than this. Essentially we realize that we were duped and deceived, and this is an ego transformative moment, now a new identity must be created to replace the old. These new beliefs are primarily a way to stabilize our emotional uncertainty and are rarely questioned beyond their surface concepts. We may follow one guru after another who claims everything will be alright if we just wait, or ignore the negative, so it will go away like magic. If someone questions our beliefs, we react to protect them because at our core they are holding back the fear of the unknown, they are our new identity and we must defend ourselves. We placed our faith into this new thing, and to question it means we might discover we were duped, and to go through that experience again is deeply unsettling. Finally, after we go through a second awakening, some come to realize that to be awake means a constant and expanding process of truth discovery. That we can not hope to gain freedom by blindly placing our faith in any one idea or another, that all aspects of what IS are a part of the process. This is what I call the wise fool phase, where we finally acknowledge that the truth is an infinite and eternal reality, and our discovery of it is an endless adventure; we all work together for. Many within the awakening population are still holding onto beliefs the developed after their initial awakening. We are not exempt from this process of course. Those who gathered here in Morocco were from all ranges. Working cohesively as a group meant having to speak our minds openly and naturally gave rise to disagreement which is essential for expanding knowledge in my view. As a result, discords in philosophy gave way to feelings of being personally attacked by some, and division developed. In this climate where we are all trying to share resources, speaking your mind could mean 'biting the hand that feeds you.' Some, including Julian and I, were less outspoken. Of course after tensions relaxed, we often reflected on the frivolity of our disagreements, realizing unity was an eventually going to happen. Our personal experience sheds some light on this. After arriving in Morocco, our funds quickly dwindled, and before long, we had no monetary resources. Being in a foreign country, with no money definitely creates an emotional charge (fearing the unknown), and we found ourselves feeling a great deal of stress on a daily basis, not knowing what the future held. Additionally, there was no infrastructure in place to provide basic needs sustainably. Instead the community here worked to ensure everyone had enough to live by sharing what little we did have, while trying to develop projects for the future. 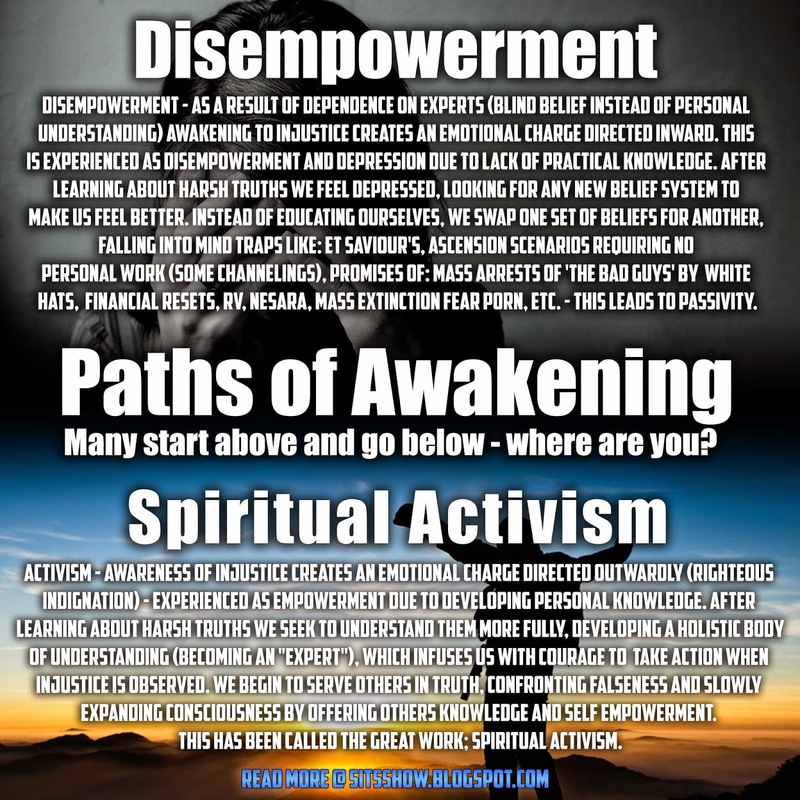 Further, because many people were at different phases of their awakening experience, we began to feel trepidation in speaking our minds openly, as others would feel attacked if their beliefs were not accepted. This is what I have come to understand as a fear of abandonment, which highlights how we see ourselves and almost everyone on earth is going through this. The thought being: "If I share myself too openly, and it causes a disagreement, I will not be accepted, and the community will want to 'get rid of the trouble maker." What we have shared in this post alone is enough to cause many people to feel like we are 'focusing on the negative' or trying to 'blame others.' But how can we hope to free this world from the tyrants who took over if we are not even brave enough to face our friends and loved ones. Its a sticky situation undoubtedly. I think everyone can relate to this fear. How many times have you held your tongue because you didn't want to feel left out? In my observation it happens all the time. And it makes us aware of the disharmony we have within, allowing us to explore it, understand it and eventually transmute it into harmony. We no longer feel divided within, and react defensively. This reminds me of the movie Interstellar, where Cooper find out the A.I. robot KIPP has a truth setting because it avoids telling him the whole truth. KIPP says that his programmers discovered humans often don't really want 100% truth, decreasing it to 90%. Of course there is a difference between compassionately sharing your perspective and trying to provoke someone, but generally there is a tendency to hold back information that ruffles peoples feathers. Hearing a different perspective can feel like an attack if we have placed absolute faith in the things we are discussing. But since absolute belief is an illusion as it requires absolute knowledge, the truth is we can only come to have relative certainty about an idea. If we recognize with this, we can easily discuss different perspectives without feeling the need to defend ourselves. This is the wise fool phase of the awakening process which many are stepping into now. This aspect of our Moroccan adventure and the one people community was hugely rewarding. Let me say now that despite what I am making light of here, the experience was a wonderful undertaking. The risk of disharmony was ever present, and did happen, but amid that storm was a nexus of stillness; many moments of deep growth, realization and expansion for all involved. We learned about a dynamic in the awakening experience which was previously unknown to us. As each person moves forward on the path to consciousness, they are constantly being made aware of their old choices that conflict with new ones. This manifests as intense emotions of reactiveness, an unconscious response. The solution to this is not to beat the person into the ground with data and logical arguments. We have to heal the heart, before the mind will open. Using an everyday example of living with roommates, if we think of ourselves as clean and tidy, and are told that we left a mess for another, this may cause us to react defensively. We may not listen to what the other has to say with an open mind and heart, rejecting the idea out of hand because we feel hurt. This is what we've come to call Emotional Reactiveness, and is an unconscious response (fight or flight response of the reptilian brain) to feel as if we are being attacked and defend ourselves. Most people slip into emotional reactiveness as a result of an underdeveloped rational process, as a result of their precursory unconscious time on Earth. For instance, when born we are essentially unconscious of everything and slowly through experience begin reflecting the truth about reality within. This develops a rational process to understand why one choice is better than another, instead of just relying on the feeling alone. As children we may eat healthy food because it taste good, and makes us feel happy, but later in life we eat healthy because we recognize the cause and effect relationships at work. Now we feel satisfied as a result of the conscious recognition, in addition to the precursory association of enjoying the food. This is what our conscious mind is for. By placing our attention on something we expand our knowledge of it. Now we don't have to rely on the instincts of emotions alone, we can begin thinking logically about why things feel a certain way and make a unified choice; where the ends and the means are in harmony. Our emotions never lie or deceive us, but if we have not developed a rational process to understand the intuition properly (via expanding and purifying our knowledge base), we can misinterpret the information. Using a similar food example, many people love eating fast food because it tastes good, but the cost of this emotional satisfaction is destruction of long term health. We reach for food that feels good and are not conscious of the full effects. Said another way, we are not conscious of what we are creating for ourselves; rarely is anyone consciously trying to destroy their health. Matter of fact, most of us think we are healthy, even as we consume poisonous foods. Logically there is a conflict, one cannot think of themselves as being healthy - having healthy habits -while at the same time consuming fast food poison; this is called cognitive dissonance as the two thoughts are mutually exclusive. The only way for this behavior to continue is for the person to remain unconscious as to their choices, this is where emotional reactiveness comes in. One day someone may tell us eating fast food is unhealthy which goes against our belief that we are healthy. We must defend our unconscious beliefs by shielding them against this new idea, because to question our beliefs means exploring the unknown. Conditions on earth slowly program us to fear the unknown and experience trauma when 'getting out of our comfort zone.' But if we are brave enough to move past this initial fear, we can allow these divergent beliefs to come to our attention, and create a new working belief that more accurately reflects reality, and more lastingly harmonizes with our life choices. Now we do the work of understanding what food is healthy and, once complete, creates an emotional feeling of happiness as a result of conscious acknowledgement. The means and the ends are in harmony now instead of conflicting. Instead of feeling happy unwittingly, we feel happy as a result of conscious creation; a truly blissful and spiritual experience. This highlights one aspect of personality growth we recently began talking about on our radio show Practical Knowledge for the Awakening. Briefly, the process of personal evolution, ascension or attainment is a Reflective process. If we accept that The Truth is singular and absolute (One Truth), then as we live life we come to know it slowly by experience, by taking 'snapshots' and piecing them together over time to make a complete image; our subjective experience. In this case, our truth is a partial image of The Truth, one strand in an endless tapestry. We met this challenge when we began sharing data on the blog. We realized that we couldn't honestly share an idea as absolute truth, but only share it as a relative conclusion, based on what we knew at the time. As others began sharing their knowledge with us, we began to question the conclusions drawn in the past, allowing a more accurate set of knowledge to be generated within. This is the power of discussion, what some have called Heart Space Open Mindedness. This was one of the many things I learned over the past year. In short, this experience for us has been invaluable, revealing to us where we can direct our energy to ensure success in the future. In this sense, our mission here was a total success, as it helped prepare us for what is to come. In October 2014 we moved to Martil Morocco, and have since that time had several adventures. 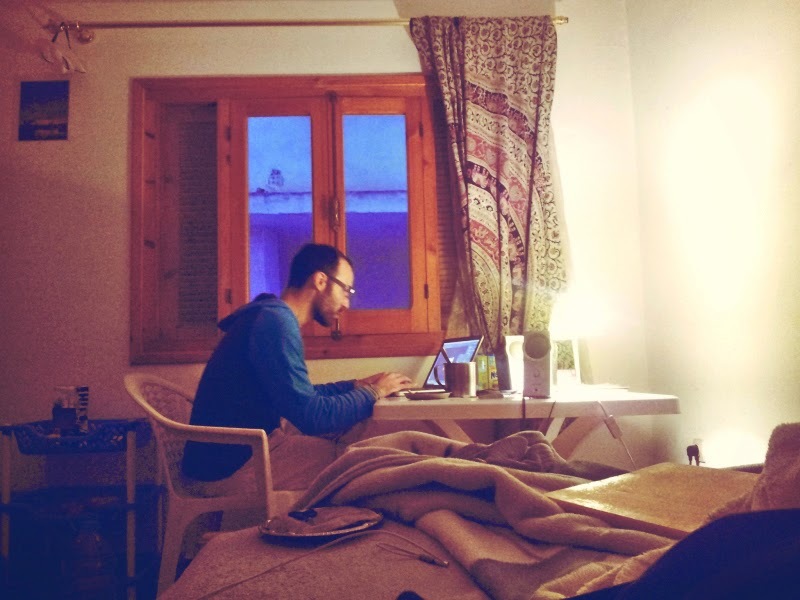 We moved initially to a one bedroom apartment with the help of our good friend Ayoub, a local Moroccan Student attending the University in Martil. A short time after we moved with him and another friend into a two bedroom place. The transition from the old apartment was an adventure in and of itself. Our landlord did not want to file any documentation or create a lease agreement, and said he would pay for the electricity and water. Our rent was 1700 MAD a month, which is about $170 (at todays exchange rate). After we left, our old landlord came to our new apartment demanding we pay for the electricity. We were a bit confused by this, and it highlighted the fact that standing in our personal power is essential to avoid being duped in this world. When we questioned the landlord about the original agreement he became anxious and decided not to pursue the matter. For us this was an example of what each of us can do when confronted with deception and fraud, and we were going to have another chance to exercise these skills. Our second apartment, which was a few blocks away, had a similar situation. This landlord did not want to formalize any agreement, and said he would pay for the utilities. We agreed to stay for six months, but after 5 weeks, the landlords son knocked on the door one day and tells us that we needed to leave by the end of the month. It was difficult to understand why, because we do not speak the local language, but Ayoub told us that he needed the apartment for a friend. Keeping in line with our desire to know the truth, we attempted to contact the landlord and confirm what his son was saying, but unfortunately he was away in Spain, and we could not contact him. We finally reached him, and could not confirm what his son was asking of us. We felt like the son was trying to manipulate us into leaving behind his father's back. When the son came to the door after the month had ended, he was very combative, saying he was going to call the police and have us removed. We told him that his father had no idea about this and we were not going to leave the apartment as we had no agreement with him. This apartment was no paradise however. It was an older building from the 70's and looked like no repair work had been done since that time. Most of the electrical outlets were not working, and by the end of our stay there, only 3 were functional. Julian and I had to run an extension cable from the bathroom to keep computers charged and lights on. In the midst of all this, Julian developed blood clots in his leg and had a major bout of strep throat for 3 weeks. Despite having faith in the universe that all things happen for our own growth, this a straw on top of many and was a major blow to our morale. We went from working with many of our new friends in Aouchtam, to just Julian and I doing our best to continue the work. We still had a lot of motivation, but we began wondering what exactly the next phase of our journey would be. This uncertainty, combined with Julians declining health, and lack of financial resources, created a trial of motivation for us. In addition, our other computer, a small Chromebook laptop was stolen or went missing. On our way to Chefchaouen with some of our Moroccan friends, we left our electronics in our room, like we normally do, closing it and locked the front door. 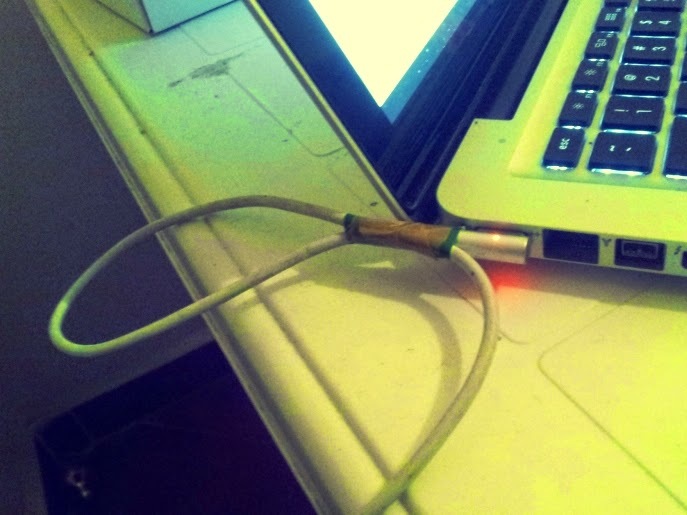 When we arrived home later that night, the chromebook was missing, but the charger cable was till where we left it. Who would steal the computer and not the cable? It perplexes us to this day. Unfortunately this put a major strain on SITS because we now had only one computer to do research, write-ups, blogging sharing information, Julians photography work, etc. Needless to say our time management skills have been improving, because despite this setback we have been producing more content than ever. Once again, in our time of uncertainty we were amazed by all those around the world who felt for us and wanted to help. After we released an update about Julians health, we had many people offering advice and support. This helped us feel connected to the world again, and that we were not alone in all this, which is how we began to feel after the community dispersed. Julian took about a month to heal, and just in time for our next move. Continuing with that story: Ayoub felt very strongly about asserting our right to be there and contacted his father for advice. By this time we were 7 days past the timeframe given by the landlords son, and he was becoming increasingly aggressive. At one point he showed up at the door with 3 other men demanding we leave by the next day. He claimed we were running a brothel from the apartment and the police would put us in jail; I can assure you we were not. Ayoub's father contacted the landlord and tried to clarify the situation. The landlord went as far as to tell Ayoub's father that his son was a drug addict and a pimp, running a prostitution ring from the apartment. We had a choice at this point, we could try and force the situation or we could just find a new, and better place to live. As anyone who rents an apartment knows, fighting with your landlord can be a tricky thing, and on a planet where the law of the jungle reigns, all sorts of things can happen. We felt to fight over a place that was ready to be condemned anyway just was not worth the effort. We decided to find a new place, which is where this update is being written, and moved there. While this apartment was only a few blocks away, having to move plates, cookware, and all the other items for living was a lot of work. Each move took about 10 trips, carrying 40 to 80 pounds walking to the new place. Thankfully, for Julian and I this was our 10th move since coming to Morocco, and we were mentally prepared for the work involved. Julian, Ayoub and I found a new apartment thanks to another friend we met here. He was living alone in a 2 bedroom place, and was looking for roommates to help with the cost of rent. It seemed like a good solution to our mutual challenge. We did our best to discuss agreements for the house, like cleaning up after ourselves, and it seemed like a better situation. Our new roommate had a girl friend and said she may stay here a few nights and that he would not personally do any cleaning, that was what is girl friend was for. Julian and I knew that this new situation we found ourselves in was going to be another test of our ability to work harmoniously with others. After moving in, Julian and I took one bedroom, and Ayoub shared the other with our new room mate. We like to have a zero impact policy when it comes to our living space. If we make food, we like to leave the kitchen clean for the next person, but we discovered that this was not going to work here. While his girlfriend did clean up after him, it would often be days before any cleaning would take place. Additionally, every night was a party night, often times there were 4 to 5 guests in the house, making all sorts of messes, and none of it was ever cleaned. Often Julian and I would have to clean everything just to prepare a simple meal, and ended up tidying the whole kitchen, hoping to set an example, but all the dishes would be dirtied again and the whole cycle would just keep repeating. We also stored our food in the kitchen only to discover it was eaten by the guests without asking us. 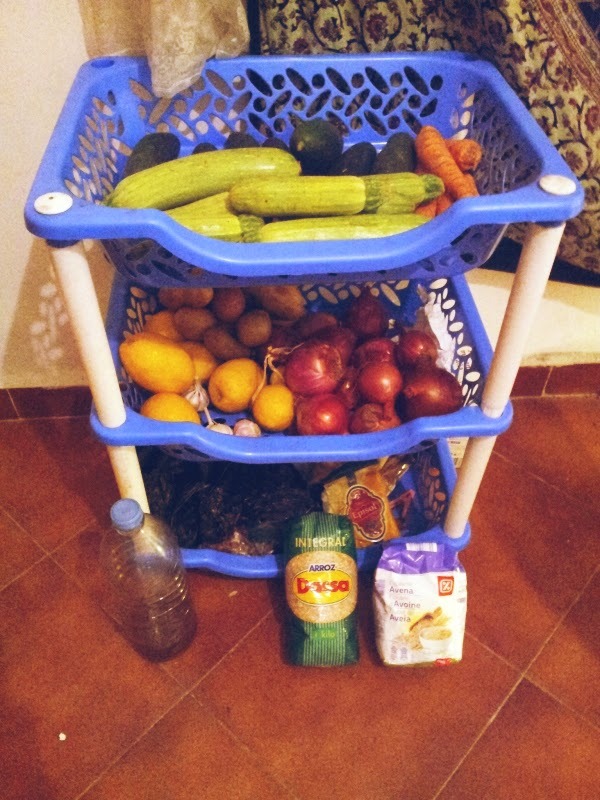 As a result, we began storing our food in our room and the whole situation became more stressful as time went on. Further, hot water and cooking is fueled by propane gas here in Morocco. This must be purchased and replaced when it runs out. We initially agreed to split this amongst us, but every time a new gas can needed to be purchased, only Julian and I had the funds; limited as they are. On top of all that, we were constantly 'doing favors' by giving people food, lending money, and various other things, always being told "don't worry I will get it back to you tomorrow" but it never happened. However, when alcohol and cigarettes needed to be purchased, those were put on a higher priority. Julian and I realized we were being taken advantage of. Its one thing to give freely when someone is in need, but when its a pattern and agreements are broken, there is a co-dependency forming. Finally, we were constantly being asked to lend money here and there, that it would be paid back the next day, only to never have it returned. We do not have a surplus of cash to work with, and often we survived off $4 a day for all our living needs. At one point we were asked to lend 200 MAD and said we were not going to because we were still owed from the last time. They reacted by saying we had the money and we should lend it, as if they were entitled to it. Maybe it was because we are foreigners and it was assumed we had a steady flow of cash, regardless we needed to address the matter. 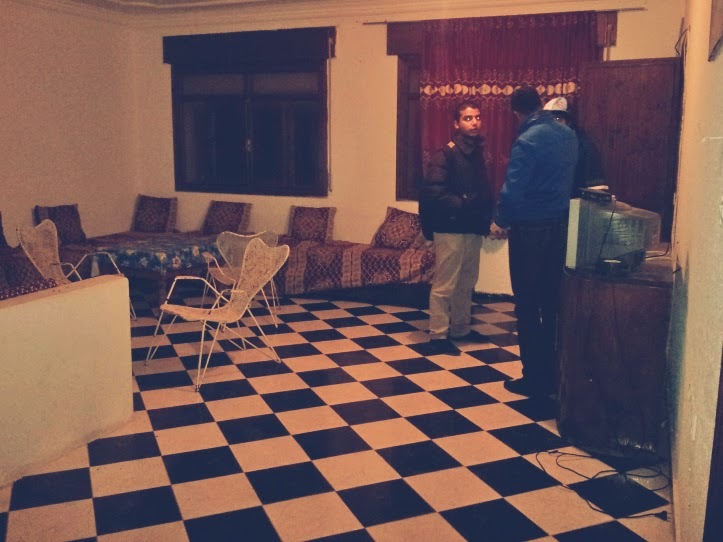 At one point, Ayoub traveled to his home in Chaouen, coming back to discover several items and money went missing from his room. This, on top of our food constantly going missing, and a complete disrespect for the living space, compelled us to talk our new roommate. His girlfriend had in fact been staying there every night since we moved in, yet had not contributed to the household. We said that in order for us to continue living together we need to address the disharmonies, and if his girlfriend was going to stay, she needed to become a contributor. We needed to have our personal items and space respected. We all should agree if guests come over, and that those guests are the responsibility of the inviting person, to ensure they honor the rules of the house. The night after night until 7am parting was not acceptable. Despite all the dishonorable dealings, our roommate was not unreasonable. When we talked him he felt dismayed by how he let things play out, and wanted to come to an accord. His own life was uncertain, as finding work here in Morocco can be difficult, and we felt compassion for his situation, yet knew things needed to change. He decided to leave the apartment with his girlfriend, and since mid March it has just been Julian, Ayoub and myself. Just after settling our housing situation, our computer charger cable stopped working. 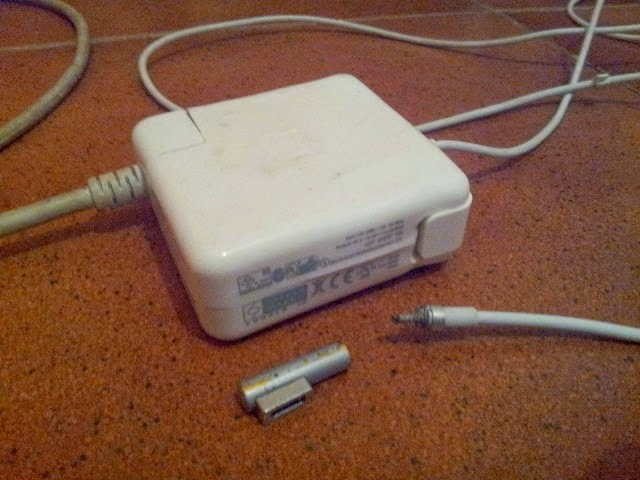 In October, when we were still living in Tangier, our charger cable broke and we replaced it with a knock off from China. At the time we did not realize it, but after it literally fell apart after only 5 months, we researched it online and discovered the truth. We issued an update about the situation, and were faced with another uncertain outlook. We ramped up our efforts on the blog after Julian recovered, and started creating images for posts in an effort to disseminate the information in another medium. This, ontop of our new association with Sierra Neblina and GalacticU Radio, the blog has nearly tripled in its reach. As a result, the ad revenue slowly began to accumulate so we could sustain ourselves, but with the computer now broken down, we had no way to continue our work. Replacing the charger was going to cost 700 MAD, nearly 70% of our rent in one month. We just simply didn't have enough to purchase the item and had to issue a statement on the blog that we were unsure when we would be back. Yet again we were grateful to those who offered help. Mel Ve, who we have been working with on CCN, offered to send us a spare charger and we had several people offer help about repairing the old one. But before we knew it, several people contributed to the blog which allowed us to purchase a replacement. Again we were inspired by the display of collective support and appreciation. Finding the replacement charger was no small task. In Morocco Apple products are hard to come by. We found a computer shop here in Martil, which did not have the charger, but said his friend in Tetouan did. "InchaAlah (god willing) we will get you the charger" he said, which in the local parlance means it might happen if we are lucky. We gave him 100 MAD for his 'security' of sending someone to get it for us, but when we came back the next day, he did not have it. When he asked his assistant he reacted as if he made no promises about getting the charger, saying he would try again tomorrow; InchaAlah. 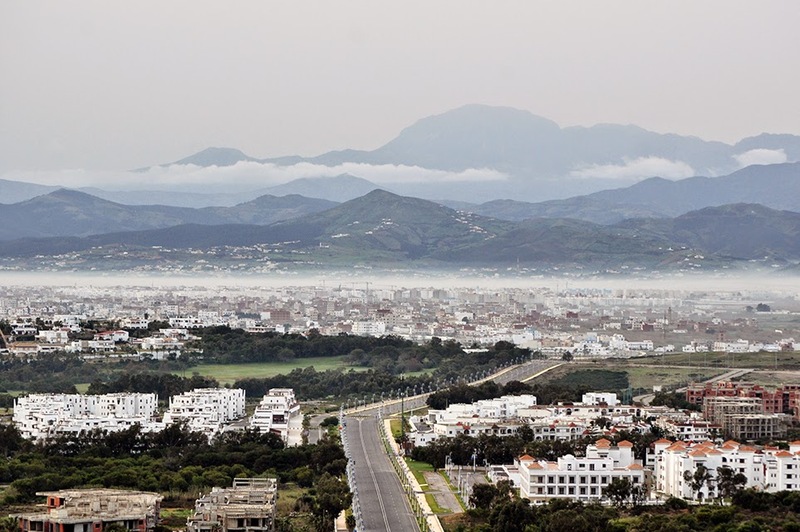 We decided that we should take matters into our own hands and go to Tetouan ourselves. Ayoub offered to go for us, after talking with him and his friend from school, who just so happened to know someone with the item we needed; here in Morocco there is always a friend, of a friend of a friend, who can find what you need. We are happy to report the new charger is working wonderfully and we even made enhancements to it to prevent the wear and tear that caused the others to breakdown. Morocco provides a 90 day visa to Americans, at which time it is required to leave the country. The exact rules of how long one must leave has never been disclosed to us. 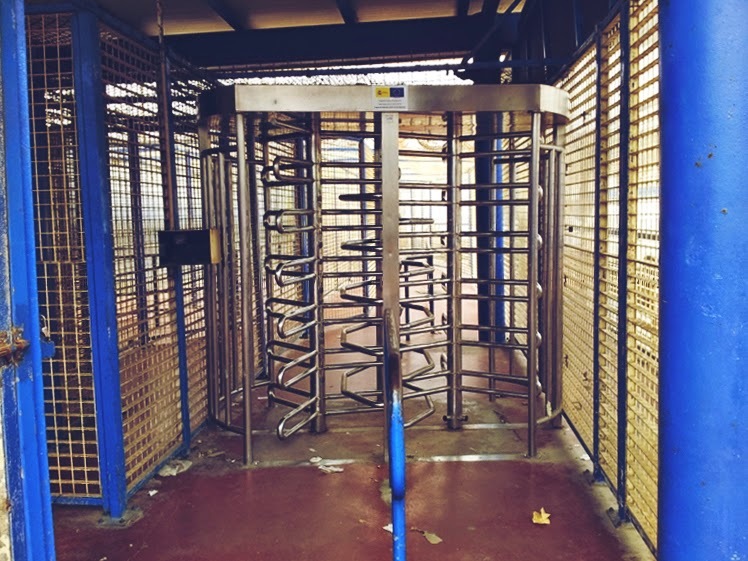 Our normal process is to make our way to the Spanish Colony of Ceuta, a small peninsula city at the tip of the strait of Gibraltar. We have learned that staying at least one night ensures we get no hassle when we return to Morocco. Our intent is for this to be the last visa renewal, and to get back to the US before the summer time rush. During the months of July and August the cost of housing increase more than 10 fold. Presently our rent is 1,700 MAD a month, and will increase to 30,000 if we decide to stay through the busy season. 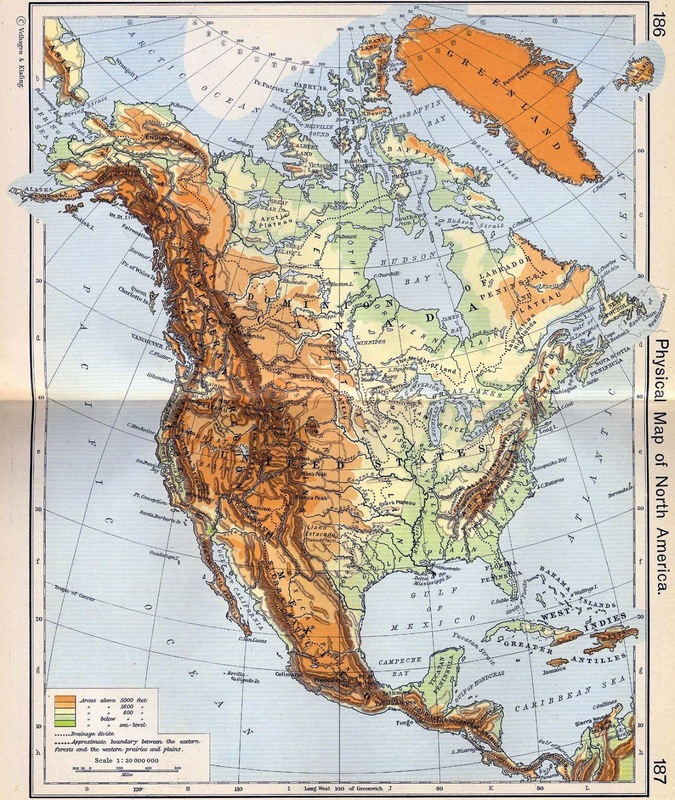 With the increase in activities happening in the US, it seems like a good place to be for continuing the process of collective awakening and unification towards freedom. Unity on the fundamental nature of our slavery and taking action to stop it is a major focus for us. 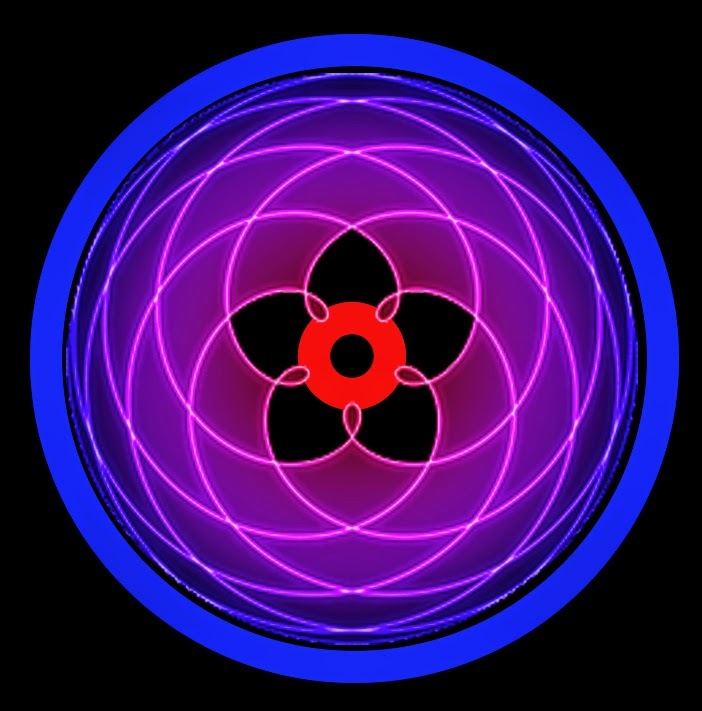 There is a great deal of division and diffusion of energy within the awakening community, and we hope to work with our fellows to bring about change in a big way at some point in the future. Sharing information is one of the first steps to gaining knowledge about the problem so we can take action in a way that affects real change. Julian and I have been learning from other researchers, bloggers and activists, and feel our duty is to share what we know allowing others to enter the discussion. As a global community of truth seekers, everyone's point of view and knowledge, once shared, can enrich our own by allowing us to recognize errors or enrich our understanding. Truth seeking really is a group effort in this sense, so long as we are willing to work together in that way. With this in mind, we have been sharing more information in many ways. We presently have eight social media outlets and a new Facebook group (Stillness in the Storm News Room) for disseminating data. We have also been working with Mel Ve over at CCN and Sierra Neblina of Galactic U. As well as Lamplight Group and Soul Talk Radio. All and all, the blog has doubled in viewership since January this year, and is increasing as time goes on. 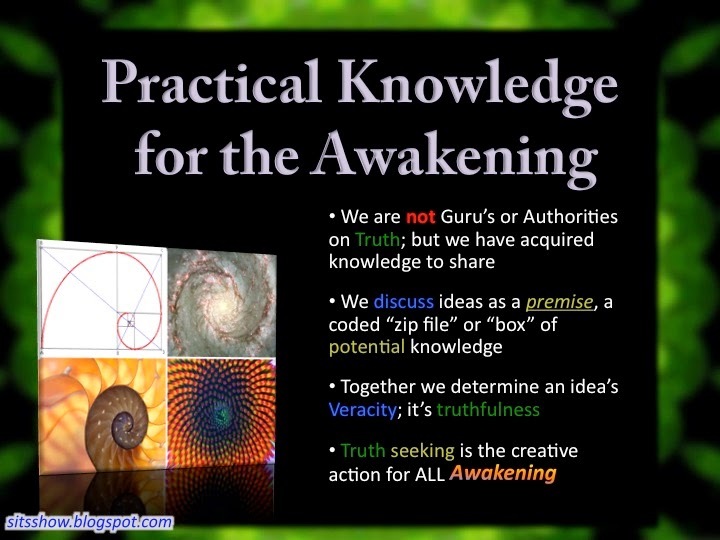 Practical Knowledge For The Awakening is an ongoing series of presentations hosted by Galactic U Radio. Our goal there is to share information that we have been researching, contemplating and distilling in a format which is easy to understand, and provides workable skills for all. Justin, who has been producing this content, took his knowledge and understanding from years of research and compiled it into a holistic system. We are not claiming to be guru's of truth, but we do see many consistent themes which we hope to present in an empowering way. Our goal to continue this theme of sharing our knowledge in workshops, seminars and group discussions. And work with other researchers in pooling our resources, gaining more understanding which can then be shared with the world. In the interest of full disclosure, we want to share how we have been able to support ourselves, produce all the content on SITS, and what moving back to the US would require. Presently we spend about $366 a month in Morocco. This includes: Internet $25, Rent $156, Food $125, Utilities $10 and Miscellaneous Expenses $50. 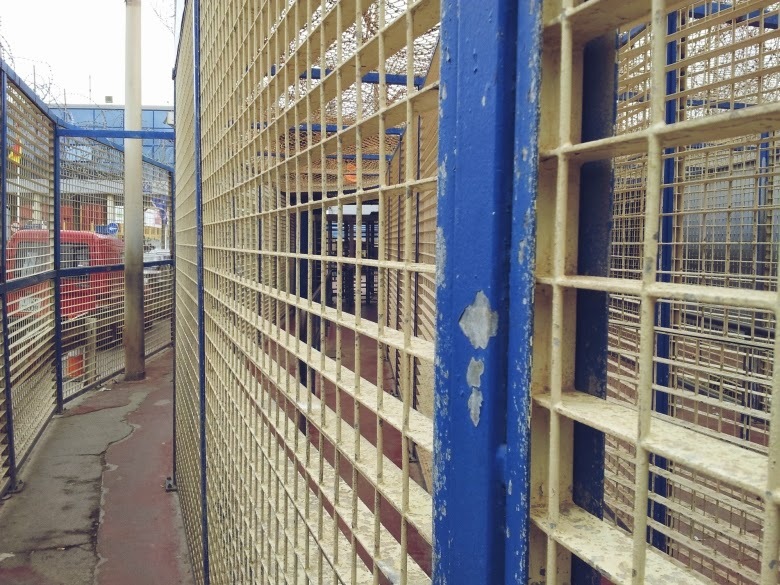 Additionally, the trip to Ceuta costs about $80 every three months. 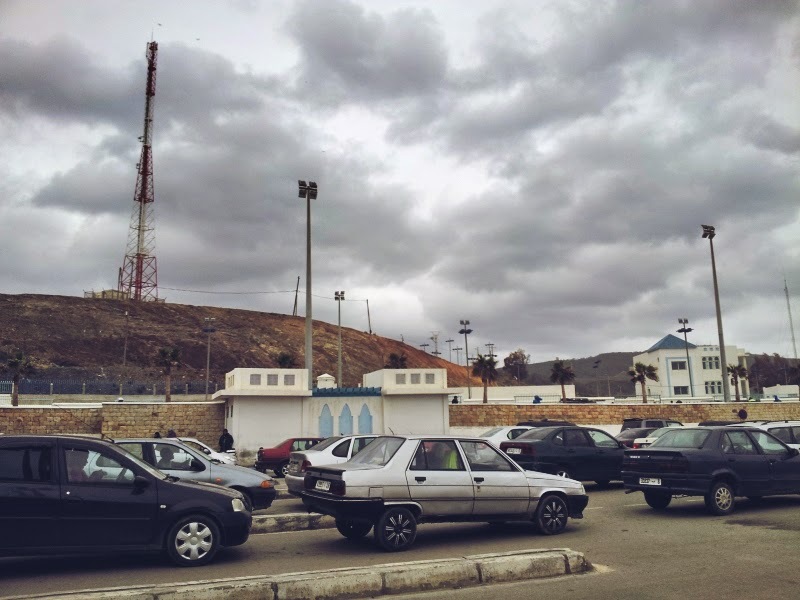 The trip to Ceuta in early April made this month higher than the last. Any other unforeseen expenditures could also pop up, like the charger cable we spoke of earlier or Julian's health issue which cost about $200 (not including the 2 month supply of medicine), to name a few instances. Presently we have two currency sources: Google Adsense and Contributions to the blog via paypal or direct donation. We do our best to place ads unobtrusively in blog posts, but ad revenue is not generated by simply placing it on the blog. Advertisements must be clicked in order for it to generate a small income. At the time of this writing, we average about 5,000 hits a day (150,000 a month) on SITS, and out of that number of viewers, 10 to 20 ads are clicked daily. Thankfully, other than a minor distraction, the income earned here comes at no cost to the readership. Clicking the ad is all that is required. In the month of January SITS generated $100 from ads and $478 in contributions, after asking for assistance to help with Julian's health condition. This small surplus helped us in the month of February, when SITS generated $162 in ads and $6 in contributions. In the month of March SITS generated $241 from ads and $348 in contributions. This surplus helped us with this month, presently we are out of funds and waiting for the Google adsense payment to arrive on the 23rd which will be $401 with $54 in contributions received thus far. On average , since January of this year, we have been able to sustain ourselves with just enough to make it to the next adsense payment on the 23rd of every month. Julian has lost a considerable amount of weight since coming to Morocco and all his clothes are too big. His only remaining pair of shoes are also falling apart. I mention this only to share that we are hardly living it up, here in Morocco. We are fortunate to have exactly what we need when we need it, which is the definition of abundance we feel reflects our profound feeling of gratitude in relation to this whole adventure. Being able to do what we love and help others in truth seeking has been tremendously rewarding for us, and we want to continue and expand into the future. The lower cost of living in Morocco has allowed us to pour most of our daily energy into researching, writing, editing, image creation, presentation development and social media dissemination. We usually spend 12 hours a day (each) or more, if circumstances permit, doing all of these things, on top of the normal activities of living life. Thankfully, when you do what you love it never feels like work. Even though we share quite a bit for a blog in our genre, there are countless projects and ideas which have not come to bare due to time constraints, as well as being limited to one computer for 2 full time contributors. Our email for research and postings presently has 1,250 items that we would like to share. 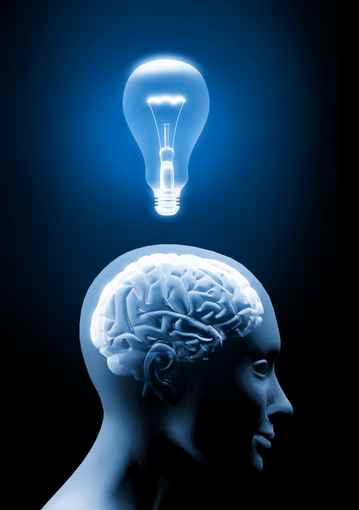 Additionally, we are constantly receiving great information from others we would not have otherwise been aware of. 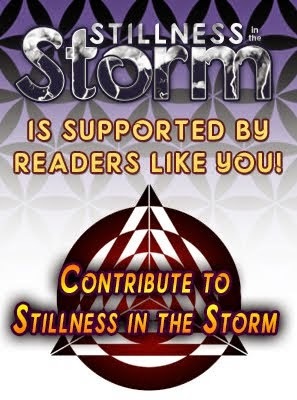 We recently created a Facebook group called Stillness in the Storm News Room, so others can share and discuss information with us and each other. Presently our goal is to fly back to the US to land in Boston Massachusetts, where Justin grew up, and meet with his mother and family there. Plans could change depending on unforeseen developments. This will cost approximately $2,000, with travel expenses and airline tickets, if we can purchase them within the next few weeks. The longer we wait the higher the price gets, and nearly triples during the busy months. 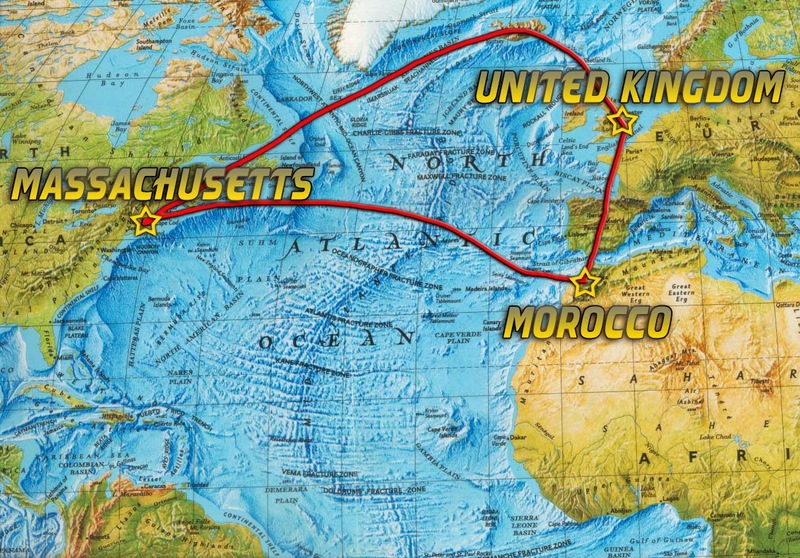 Flights directly from Casablanca to Boston would be the cheapest and easiest based on our research. We could also fly to the UK and then Boston, possibly stopping in Iceland. The latter requiring multiple ticket purchases, which can complicate things. We purchased two separate airline tickets when we originally traveled to Morocco and we both ended up losing a ticket because of Visa requirements; forcing us to have to purchase another set of tickets to travel to Morocco. We would like to avoid that complication this time with a single, direct, flight. Once we arrive in the US we will get settled and see what develops. Most likely unless the blog revenue increases, we will both find work which will be much easier there. Of course this means our work here on SITS and all the various projects we have will be significantly reduced. It is our hope to develop projects that allow us to continue the work and generate a modest income to survive. Please take the 13 minutes to watch this highly inspirational video by Amanda Palmer of the Dresden Dolls. She is fully funded by her fans whom love her music. Take a moment and watch below. We really could not have done anything we do here on SITS without the support from readers. We are eternally grateful for having the opportunity to continue doing what we love, sharing information, knowledge, news and more. We both have been empowered greatly by the work of others and feel this is our way of giving back. If you find our work of value and feel you want contribute to our journey home and future projects please consider making a contribution. $10, $20, $50 or any amount is greatly appreciated. We have something special this time for all our contributors. For every contribution received from the time of this posting until May 1st, 2015 you will get an exclusive link which will include a large amount of photos we have taken in Morocco, over 200. We are giving this away to all the contributors to SITS, thank you for your support!